Have you dreamt about cutting back on sugar, at least a little bit? Here is a good way to start. 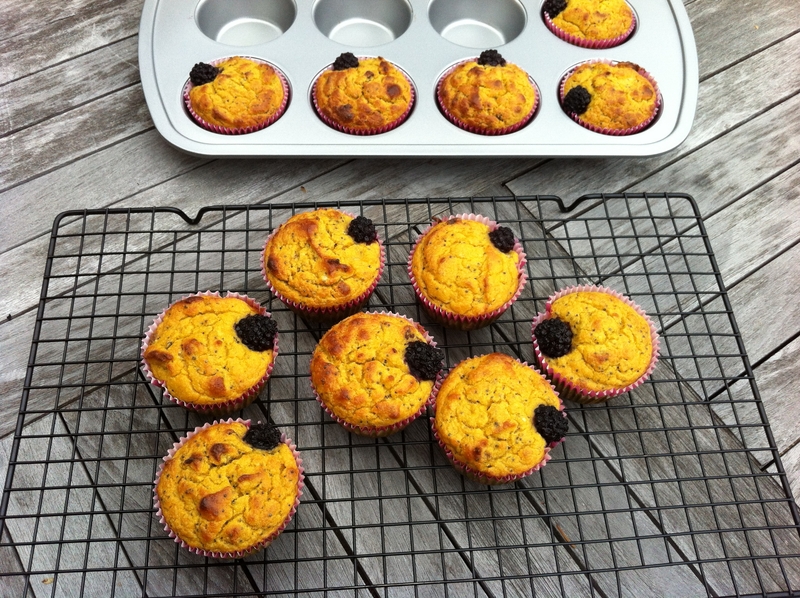 This muffin recipe comes from Kathy Abascal’s The Abascal Way Cookbook. There is no sugar (of any kind) in these muffins, and they don’t have any flour either. Do you like sunshine and being protected from the wind? 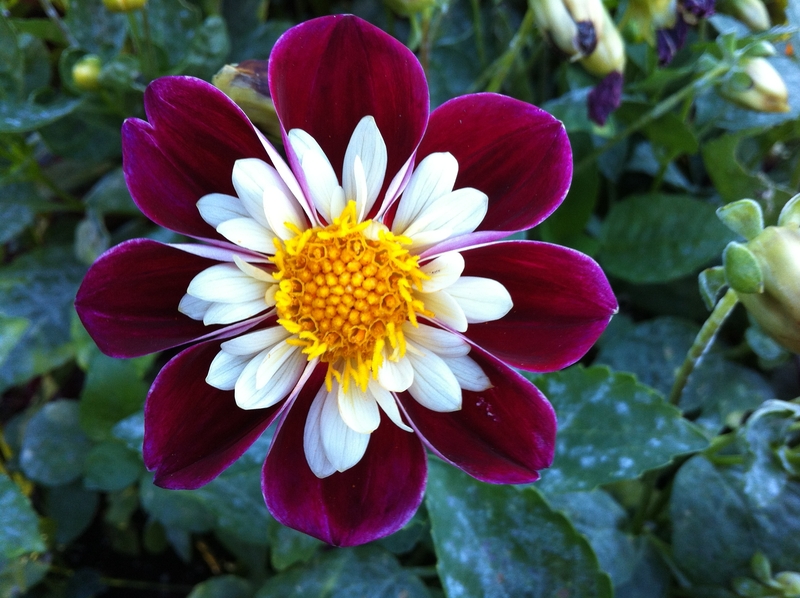 Dahlia, this colorful spiky perennial, this beloved elegant garden flower that is native to Mexico, definitely does.